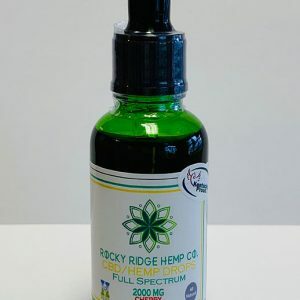 Every serving in this bottle contains 100mg of CBD. 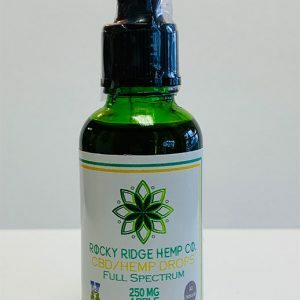 This bottle of hemp drops contains 60 servings! 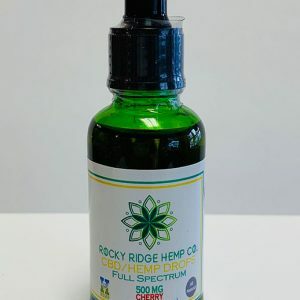 Rocky Ridge Hemp Co. products are made from hemp grown on our USDA-certified Organic farm. A third party tests our CBD products to ensure the highest possible quality and purity. 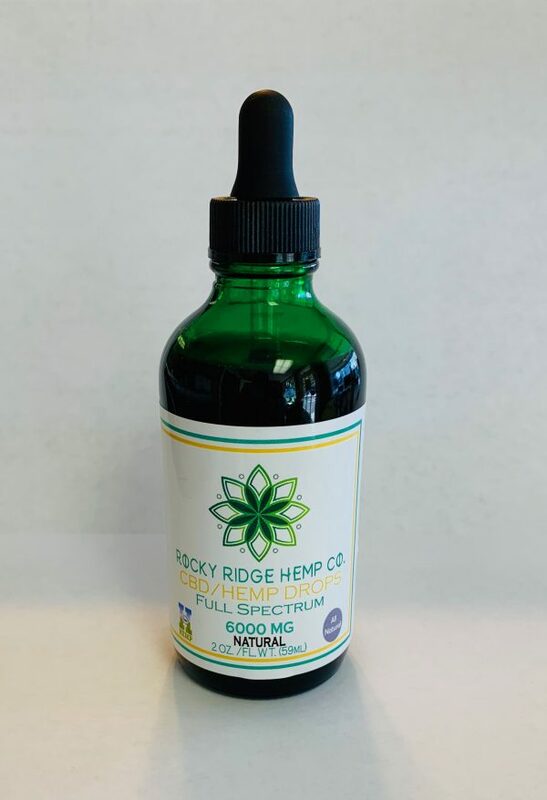 When you are looking for a lot of CBD from a trusted company, Rocky Ridge Hemp Co. has the best option — this 6000mg bottle of CBD oil! In addition to growing our hemp on an organic farm, we also use an FDA-approved facility to process and bottle our CBD products. 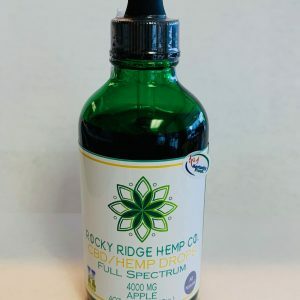 If you demand the highest quality and the best taste, order a bottle of our full-spectrum hemp oil today. Check out the rest of our store for other CBD products, including vape, ointments, and more. Our drops contain less than 0.3% THC, so they are not psychoactive.